Lets be honest: running a business, church or ministry requires a lot of stamina. You need to manage your finances, staff, and relationships. You need to continue doing the work that gets you through the day . And then you need to find time to build your client or congregation (argh!). If youre one of those people who struggles to find time to do the last piece, welcome to the club! Sales and marketing are not fun, especially when all you wanted to do is minister for a living. Alas, in order to continue moving forward, you need to being reaching out. This holds true not just for the business, churches and ministry. If you stop reaching out, you may wake up one day surprised at how slow or light your workload seems. So, in order to keep growing, to sales and marketing we must go! One of the reasons why you may be turned off by the idea of marketing is because some marketing strategies are expensive, time-consuming, and realistically might not pay off for a good six months or so. But those arent the ones I want to focus on today. 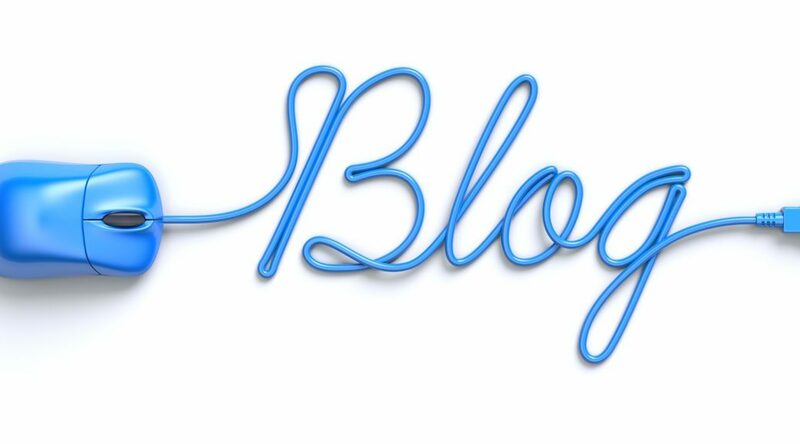 Instead, I want to take a look at why your Church, Ministry or business should have a blog. Alright, before you start groaning, let me just stop you right there. I realize that not everyone enjoys writing blogs nor is everyone good at it. But thats not a good reason to?not?have a blog. For starters, you can always outsource it to someone else. Secondly, blogs dont always need to consist of 1,000-plus words of hyper-intellectualism. Ill explain why shortly. For now, lets focus on the 10 reasons?why?you need a blog. Aside from the time investment and perhaps the purchase of a nice stock photo, there really isnt any need to spend money in order to make blogging work for you. If you write your own blogs, theyll maybe cost you a couple hours of time. If you outsource it to someone else, pretty much the same. While you could pay to have Google post your site at the top of their?search rankings, studies actually show that people care more about top-ranked?organic listings. And if you want to get your site up there, a good way to go about doing it is to increase the number of indexed pages on your site. Google will take note that youre keeping your site up-to-date with relevant information and reward your site in kind. 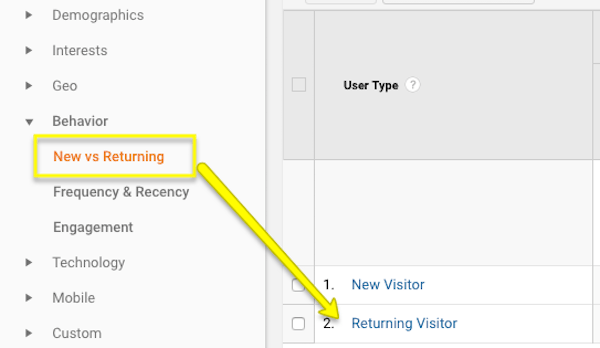 New vs returning visitors in Google Analytics. When you’re reviewing?analytics?for your site, one of the numbers you probably look at first is how many new and returning visitors youve had. New visitors are great since that means something is catching their attention, but return visitors are even better. That means theres something on your site that gave them a reason to return; a blog usually being that reason. A Hubspot report?actually shows how more blog posts published on a website will lead to an increase in inbound traffic, so dont just take my word for it. A static website that touts all the benefits of what you do and how you help improve lives is great. But talking about how great of a job you do and demonstrating that you know what youre talking about are two different things. Blogs give you a chance to demonstrate your expertise and authority in your space. Blogs are also great for adding value to the on-site experience. Visitors will see this as you being willing to go above and beyond. Not only will you be trusted, but youll become a reliable source for interesting and helpful information. There is a whole host of ways to?create new relationships, many of which involve scouring the web or placing ads. However,?71% of people who blog?say that a well-maintained blog can do a good job of increasing your visibility. If your target audience is?out there looking for the needs you can meet for them, your blog may be what leads them straight to you. Some of the best relationships youve formed have probably come about as a result of establishing a genuine connection between you, right? Well, your blog (and site, in general) is a great place to set the tone for your identity and for you as the individual they are eventually going to work with. Establish your voice and personality through your content and let the right people feel connected to you through it. One of the best things about writing a blog?is the chance to connect with the community in the comments section. If you do choose to include a comments section on your site and want to encourage participation, this is a great way to engage visitors and potential clients in a valuable back-and-forth exchange of information. Although the bulk of what you share on social media should really be content created by others (after all, its about having meaningful conversations and not pushing your own agenda all the time), every now and again its nice to have something of your own to share. The more you write on your blog, the more content youll have to share around social media and to include in upcoming newsletters. It also means more content that visitors may find interesting enough to share on their own platforms. There are obvious places on your website to put calls-to-action. But as you create more blog posts, those locations increase exponentially which means more lead-generating opportunities for your business.